about this book: This book will teach you all the fundamental concepts of the Agile Scrum Framework and will equip you to build complex products that deliver high business value to your customers. With the Agile Scrum Framework, you will be able to stay ahead of your competition, respond quickly to changing market conditions or emerging technologies, deliver incremental business value at a sustainable pace, build a customer-first approach, and create self-organizing motivated teams. Being an Agile coach, I mentor both product and engineering teams. When new people are on-boarded into scrum teams, they seldom have an understanding of this framework. Often, people play the different roles prescribed by the framework but struggle to understand their responsibilities. Even our leaders find it challenging to embrace Agile values and principles. 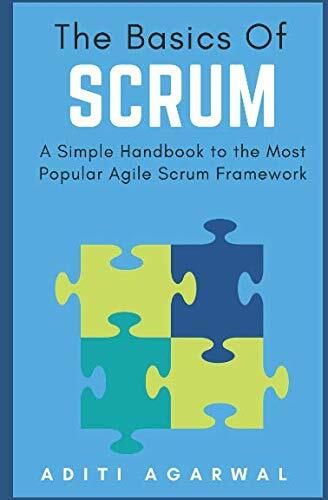 This inspired me to write this short book in a simple, easy-to-understand language for anyone who needs to learn Scrum or those who need a reference guide at work.